Jim Cramer came out earlier this week with the view that he could live with a trading tax that imposed a 0.25% surcharge on any trade made in America. The main reason he cited for being willing to go along with the tax was that he thought it would help the government create jobs. "If we do not create jobs in this country we will fall horribly behind all others in the world. I think we will be doomed to permanently low growth, if no growth at all. I believe that it is incumbent upon everyone to sacrifice at this time." Cramer also said that if sacrifice is needed, people trading stocks can afford to pay such a tax. While I support Cramer's interest in seeing job creation flourish in America, I completely disagree that the "trader tax" will accomplish this aim. To the contrary, I think allowing such a tax to take root here would accomplish just the opposite. In my view, such a tax would encourage large amounts of capital to relocate outside of America, jobs would be lost (not gained) and total government tax revenue would likely go down. For a preview of what could happen in the U.S. if this trader tax was imposed, look at Britain. At the moment, the U.K. is in even worse fiscal shape than the United States. Because of that, its Labour government recently introduced additional taxes that specifically target hedge funds' trading profits. Government bureaucrats assumed this was an easy way of generating tax revenue. What they failed to appreciate is that capital has never been more fungible than in today's global market. London-based hedge funds immediately announced they were relocating to Switzerland in droves, where they would face none of the new taxes levied in the U.K. With those funds go certain administrative and back-office jobs. But more important, ask London bankers how they feel about losing the many profitable revenue streams attributable to doing business with hedge funds that will now be sent to Swiss banks. The U.K. banks also will likely lose jobs tied to serving those hedge funds. And the U.K. government, in one fell swoop, just lost a host of capital gains, personal income and payroll taxes. Congratulations. An article in a London hedge fund industry newsletter from earlier this week had the headline: "Will the last hedge fund manager leaving to leave London please turn out the lights?" Should the U.S. impose a trader tax, we'll see a similar exodus of U.S.-based investment firms and hedge funds to locales that don't require such a tax. And, believe me, many jurisdictions will be competing for the tax revenue those firms bring with them. But this trader tax also will weigh heavily on smaller traders, as well as the big hedge funds. It's not fair that this tax will stick it to the little guy while the big banks got to run themselves like badly managed hedge funds, taking in mom-and-pop deposits and then leveraging up those assets 32-to-1 so they could trade and then lose billions of dollars on bad bets. If these big banks had actually been hedge funds, or smaller traders trading their personal accounts, they'd be gone right now. They wouldn't have been shown any sympathy. They'd be toast. Instead, they get bailed out, made whole, lent money at zero interest indefinitely, and now they get to report record profits for the year. Their taxes aren't raised, but small-time traders have to pay for their mistakes? Come on. The fairness of that escapes me. Can you imagine if someone like Rupert Murdoch, chairman of News Corp.(NWS Quote), had been running the Federal Reserve or acting as Treasury secretary when the financial meltdown occurred last year? When the banks came running for a bailout, Murdoch (or any business executive) overseeing the taxpayers' money would have said, "Sure, we can arrange for a loan, but I want equity and warrants, I want control over management, and before you guys pay any bonuses to yourselves for the next 10 years, you're going to pay out a special dividend to me first. If you don't like my offer, try to find another U.S. federal government to help you." I saw a story the other day that FDIC chief Sheila Bair was urging banks to start lending to create jobs. Urging. I thought of Murdoch again. Do you think if he had control of any bank he would "urge" management to take certain actions? No, he'd tell them what he wanted. And at the moment, he'd be telling the banks to lend money instead of stockpiling cash. Finally, as much as I want to see job creation (as Cramer does), I don't see how paying any more taxes to the government is going to directly lead to creating more jobs. Look at the track record so far. After Congress approved $800 billion in stimulus last year, only 24% of that amount has been spent to date. We have no new jobs -- just slowing job losses. The administration keeps telling us about jobs saved. I can't recall ever hearing that statistic quoted before this year. Wouldn't it be quicker and more immediate if the Fed told the banks -- which they control -- to start lending out money to small businesses again, instead of stockpiling cash and cutting their credit lines? There is a problem looming on the horizon for the U.S. and all Western countries. Debt as a percentage of gross domestic product is on the rise, big time. The current spending trends, combined with expected lower tax revenue, cannot continue indefinitely. The time to pay the piper will come. As a society, we are going to need to sacrifice in the years ahead. This sacrifice will come through lower benefits due to lower government spending on programs, or it will come from higher taxes. Personally, I'd rather see less government spending, which would allow taxes to stay lower to spur business investment. This will require politically unpopular decisions, however, and it's not clear that short-term-thinking politicians will have the stomach for that. If higher taxes are needed, we should all pay up -- not just traders. But the banks who got us in this mess -- and who are still on the government dole while paying themselves record bonuses -- should pay more. At the time of publication, Jackson had no positions in any stocks mentioned. There were two reactions I got to my column last week on Greg Zuckerman's new book The Greatest Trade Ever about John Paulson's $20 billion bearish housing trade in 2007: "He was lucky" and "He won't do it again." Even though these comments are mostly sour grapes, here's the problem with overanalyzing winners -- for the financial media, potential investors and even money managers, like Paulson himself. Our society celebrates winners (athletes, politicians and investment managers like John Paulson) and ignores losers. From 1994-2007, in the eyes of many, Paulson was a loser. His hedge fund, Paulson & Co., had mediocre returns during this period. He was defined as a merger arbitrage guy. Because of this categorization, some investors were alarmed by his ideas about betting against the housing market using credit default swaps. Yet, he did -- and we know the results. Although his pre-2007 performance didn't stand out, people who knew Paulson thought highly of him, according to Zuckerman. Investors were often impressed with his understated but effective way of clearly articulating his investment theses. Post-2007, the perception of Paulson went from career underachiever to seer. He is now celebrated, and his recent stakes in Citigroup(C Quote), Bank of America (BAC Quote) and gold are seen as green lights to other investors to buy. If Paulson told us tomorrow that Martians were going to invade us next month, there would be a run on Martian army gear. Yet, this reaction is equally superficial in the opposite direction. We don't care why he thinks gold is a buy or why Bank of America will double in two years. This isn't Paulson's fault. He can't help it. It is the reality that's developed around him while he's gone about his business trying to make money for his investors. It's exactly the same as the heavy attention paid to Warren Buffett's moves. This is classic "survivorship bias." There were 20,000 hedge funds in the halcyon days of 2007. No matter what the markets did over the next 18 months, five to 10 funds would have had scored 100%-plus returns and been celebrated. If Bernanke had cut interest rates drastically in 2006, maybe New Century would have continued to be a huge moneymaker by issuing subprime mortgages. David Einhorn would be known today as having the canny intuition to get long that stock (and join its board) in 2006, instead of for calling Lehman's implosion in early 2008. Had the housing boom continued, perhaps Greg Zuckerman's book would be about former Bear Stearns hedge fund manager, Ralph Cioffi. Of course, this didn't happen and, instead, Cioffi is fighting civil charges by the SEC, and John Paulson is the hero. Survivorship bias leads to celebrating the winners and -- usually -- overinterpreting their moves leading up to their success and trying to apply these actions to future situations. At least no one in the mainstream media has yet called John Paulson "the next Warren Buffett." Remember Eddie Lampert? That's what Business Week and countless other magazines called him back in 2004. Although many still defend Lampert as smart, his past five years of performance have been very disappointing, and his Sears Holdings(SHLD Quote) investment specifically has been ... early. Although it's easy to pick on the financial media for these flubs in hindsight, they are merely reflecting our own deep-seated human desires for making sense of a seemingly senseless market. They wouldn't tell us who'll be the next Warren Buffett, unless we wanted to buy their magazine (or click on their links) to find out. We gravitate to "winners" for pearls of wisdom to help us be more winnerlike. This is why investors "performance chase." The best performing hedge funds (and mutual funds) will always attract the most capital. After all, performance is what it's all about. Most investors will overlook lots of quirks, ethical lapses and hard-to-follow musings about the state of the markets in investor letters, if the money manager performs. The longer and better he or she performs, the more leash we give him or her (like Madoff) or the more we celebrate him (like Peter Lynch, Lampert and now Paulson). But past performance (and a fund's ability to raise capital) is no guarantee of future success. Investors should judge money managers on their current ideas. If you'd done so when John Paulson made his argument for why to bet against housing in 2006 and 2007 -- despite the fact that he wasn't a "housing guy" -- you made a lot of money. His pro-gold and pro-financials views now should be also judged on their merits, not because "John Paulson thinks so." Of course, you and I will probably never have the chance to place money with Paulson. So this lesson becomes even more important. How are you going to know the next John Paulson when you bump into him or her? Finally, let's turn to the critique of "Paulson will never do it again." Most people assume that smart people will, over time, outperform their peers. This is true. Yet, we also know smart people drove Enron, WorldCom and Lehman Brothers off cliffs -- all companies that, before their collapses, had been celebrated in the financial media with books written about them "getting it" while their competitors didn't. How can this happen and how can Paulson avoid this fate? Michael Burry, a doctor-turned-hedge fund manager also profiled in Zuckerman's book, who also profited from betting against housing despite great protestations from his investors, had a memorable line: "A money manager does not go from being a near nobody to being nearly universally applauded to being nearly universally vilified without some effect." Paulson's gone from obscurity to being perceived by many as the top hedge fund manager in the world. With that change, Paulson has received enormous wealth, but at a cost. His every trade gets discussed and debated in the media. He's likely become more isolated for security reasons, making it harder to relate to the "real world" in which his investments operate. And he likely has more "yes men" around him than ever before. If you're on Paulson's team, you've made huge money recently. Unwittingly, you'll start agreeing with him more on his new investment ideas. Anyone who doesn't agree will probably leave on his own accord or be asked to leave. Those remaining on the team are the most loyal and the least likely to disagree with the boss' views. Active debate helps form great investment ideas. But, as money managers get more successful, they face less and less debate. I disagree that John Paulson was lucky in betting against housing. From Zuckerman's account, Paulson did his homework, while everyone else stayed too long at the party. I also think that he can still conceive of and execute great trades. But there's no question that it will be more difficult now than before . Ask Lampert. Paulson's continued success is not his birthright. Any investor choosing a money manager needs to remember the story of the emperor's new clothes. Managers like to dazzle investors with technical terms and fancy charts. However, they should be able to clearly and articulately explain their basic strategy. No amount of buzz or press clippings is an adequate substitute for clear-headedness. (In fact, if they seem overly concerned with their media appearances, this signals they care more about their image than managing your money.) You shouldn't worry about asking a stupid question. If they show a whiff of arrogance in responding to your questions, run away as fast as you can. Answering these questions will help you skate to where the puck's going, not where it's been. It will also help you ensure differentiating between "flash in the pan" money managers from those with staying power. And, just maybe, you'll find the next John Paulson. At the time of publication, Jackson fund held no positions in the stocks mentioned. One of the more surprising sectors of 2009 has been casual dining restaurants. At the start of the year amid concerns of consumer deleveraging, some analysts were expecting a prolonged battering of any stocks with consumer discretionary exposure. Yet restaurants have held up very strongly, especially snapping back from the March lows. It turns out Americans like eating out -- even when times are tough -- and I've identified a stock poised to benefit from the casual-dining trend. The Powershares Dynamic Food & Beverage (PBJ - commentary - Trade Now) ETF is up 9% for the year, but many specialty restaurant chains have far outpaced that. PF Chang's Bistro (PFCB - commentary - Trade Now) is up 53% so far this year, and Buffalo Wild Wings (BWLD - commentary - Trade Now) is up an even more impressive 64% year to date. The well-regarded restaurant conglomerate Darden (DRI - commentary - Trade Now) is up a more modest 15% YTD (after a very strong recovery in the spring that has since tailed off). Rather than recommend one of these names and risk chasing performance, I'm going to discuss a restaurant stock that's been tossed in the markdown bin: Red Robin Gourmet Burgers (RRGB - commentary - Trade Now). Red Robin focuses on high-end burgers and fries, but it's still burgers, so the average check size for families is extremely low ($11.57 in the last quarter). The company has more than 430 restaurants in the U.S. and Canada. Its primary competitors are the general chains Applebee's (owned by DineEquity (DIN - commentary - Trade Now)), Chili's (owned by Brinker (EAT - commentary - Trade Now)) and TGI Friday's. First, let's discuss the positives of a Red Robin investment. This is a valuation story: The stock is down more than 6% for the year after disappointing on its two most recent earnings calls. The stock is simply too cheap relative to its peers. Its forward P/E ratio is currently at 11 times, while other specialty chains (which Red Robin is) like Buffalo Wild Wings and PF Chang's sport forward P/Es at 17 to 20 times. Brinker and DineEquity have forward P/Es of 11.5 times, but they are both generalist chains. Red Robin hasn't run heavy discounting to lure customers over the last six months, as Brinker and DineEquity have done, so cash flow has held up well. The company has generated $91 million in cash flow over the past 12 months, compared to $152 million for DineEquity (which also includes IHOP in those numbers) and $287 million for Brinker (which also includes several smaller chains besides Chili's), but DineEquity and Brinker are two and four times the revenue size of Red Robin, respectively. Many analysts expect Red Robin will have an easier time keeping its prices higher going forward relative to competitors who have heavily discounted. Red Robin has also generated this cash flow growth in the face of falling traffic over the past two quarters. The company has done little marketing over this time period, a negative that has hurt sales and margins, but management will presumably correct this deficiency in the months and quarters ahead. If sales rebound, Red Robin's earnings will go up at an accelerated pace. Its competitors have continued heavy spends on marketing throughout the year, so I expect Red Robin to see a much greater return on its incremental marketing dollars spent in the next year compared to those peers. As for the risks, Red Robin's management appears to be weak, especially the vice president of marketing. I have no clue why the company would just shut off the marketing valve over these past six months with no plans to increase this spend until new product rollouts in February. This value stock will be a falling knife until it proves to the market that dropping sales have bottomed and are rebounding. At the moment, you're taking a bit of a leap of faith, and that's dangerous. I would be more comfortable with some clear marketing direction from the company. At the moment, that's this company's biggest hole, and CEO Dennis Mullen owns that weakness until he corrects it. Unlike many other specialty casual dining chains, Red Robin carries debt: $200 million worth. Perhaps it's that debt that is causing them to penny-pinch on marketing. It's a manageable debt load, especially with the company's strong cash flow, but it puts even more pressure on this management team to perform. Additionally, I also was left scratching my head following the last earnings call about managing commodity costs. Commodities are generally way down from a year ago, and just a few days prior to the Red Robin third-quarter call, Texas Roadhouse (TXRH - commentary - Trade Now) announced an earnings beat that it primarily credited to declining commodity costs. (Texas Roadhouse's stock has jumped 15% since that announcement.) Red Robin, whose commodity-use profile is very similar to that of Texas Roadhouse, announced that gross margins were flat sequentially, although it alluded to the prospect of commodity costs declining in the next couple of quarters as some contracts roll over. The bottom line is that I expect Red Robin's management team to start aggressively marketing again relatively soon and to benefit from an uptick in resulting traffic and those expected declining commodity costs. After two recent quarterly misses, the company is certainly due for an earnings beat and a surge in the stock price. Investors might have to wait for the first-quarter call before that happens, but a long position now in an unloved stock like Red Robin will likely be rewarded over the next six to eight months. Please note that due to factors including low market capitalization and/or insufficient public float, we consider Red Robin Gourmet Burgers and DineEquity to be small-cap stocks. You should be aware that such stocks are subject to more risk than stocks of larger companies, including greater volatility, lower liquidity and less publicly available information, and that postings such as this one can have an effect on their stock prices. At the time of publication, Jackson's fund had no positions in the stocks mentioned. Eric Jackson is founder and president of Ironfire Capital and the general partner and investment manager of Ironfire Capital US Fund LP and Ironfire Capital International Fund, Ltd. If it wasn't clear already that John Paulson had reached the zenith of his hedge fund profession, one only had to watch how fervently the media and blogosphere digested the news of Paulson & Co.'s quarterly holdings which was released last Friday. Market commentators immediately pounced on how the one-time housing bear had loaded up on 300 million shares in Citigroup(C Quote) during the quarter, while dumping his entire holdings in Goldman Sachs(GS Quote). 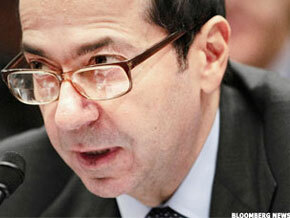 As far as hedge fund managers go today, John Paulson is the man. Ken Griffin, Stevie Cohen, and Eddie Lampert and others are afterthoughts. In Gregory Zuckerman's new book, The Greatest Trade Ever, the Wall Street Journal reporter chronicles how Paulson mounted his ascent from nobody to this industry's seer of the moment. Seven years ago, Paulson was relatively unknown. He was a merger-arbitrage guy running $300 million dollars. The former Baker Scholar from Harvard Business School couldn't help but feel that - in his mid-40s - he had under-achieved his career potential. A key analyst alongside Paulson was Paolo Pellegrini. A failed Lazard banker with two divorces and zero net worth at the time he joined Paulson, Pellegrini had to make this last career chance work. He lived in a one bedroom apartment up in Westchester and would arrive at work at 6:30 am in order to get the cheapest parking lot rate nearby. No one seemed to like him at first. He was a bit of a hot-head and talked too much. Yet, eventually he helped identify the housing bubble that Paulson would turn into a $16 billion winning trade for his firm and $4 billion for Paulson. Beyond the interesting outsider-type characters working at Paulson, Zuckerman's book offers many lessons for small and large investors. One is the risk, but potential reward, that comes from breaking away from the herd mentality that surrounds Wall Street. Nobody on Wall Street gave these guys a chance, when they started betting against housing. In fact, Paulson was routinely laughed at. Because the banking infrastructure was making so much money off of housing in 2004 - 2006, there was no reason for so many people to imagine it would end. Even among hedge funds -- who are paid handsomely to anticipate and invest in where the puck is going, not where it's been -- precious few made this bearish trade. At the time, wise managers saw only the obstacles to the trade working out (like the federal government bailing out sub-prime borrowers and "containing" the problem from other parts of housing) and they clung to a misplaced blind trust in "their models" which showed housing couldn't decrease in value. Even after he makes the bet, Zuckerman points out how there are so many times that people tell Paulson to take the bet off or cash in his profits too early. His own investors complained. Complaints also came from brokers from Bear Stearns and others who helped sell him the credit default swaps on the toxic tranches of mortgage bonds, as well as the most troubled sub-prime lenders and banks holding the troubled securities. Even his own staff complained that he wasn't taking money off the table. They told him to sell when he was down in his trade and they told him to sell when he was up on the trade after New Century reported its first blown quarter in early 2007. Through it all, Paulson stuck to his guns because he foresaw even bigger profits ahead - and he was proved right. As a fund manager, I often ponder the challenge of balancing between (1) trusting yourself and your investment thesis completely even when no one else does and (2) being aware enough to know when you're being too stubborn and "not seeing the facts" or when the trade is going against you. In Paulson's case, every new bit of data which came to light and possibly contradicted his investment thesis was always scrutinized by him and his team to see if they had "missed something." He always stuck with the trade because he felt confident in the depth of research they had invested in understanding the problem/investment opportunity. For Paulson, it all boiled down to one chart which Pellegrini produced showing the inflation-adjusted growth in housing prices over time divided by wage growth. The data clearly showed a rapid explosion upward away from the general trend starting in 2000. He assumed this trend would not continue indefinitely and revert (even overshoot). He was right. The Greatest Trade Ever isn't just about John Paulson. It describes some smaller players who also bet against housing. Their stories are also very interesting and some of the characters are really colorful and interesting. Some run into the problem of not having enough capital to implement the trade to the degree they want to. Some wait too long. One investor, Michael Burry, got his break as a fund manager when well-known value investor Joel Greenblatt made a big investment in him. Later, after taking a big bet against housing early on, Burry faced Greenblatt's wrath. In no uncertain terms, Greenblatt told him to get out of the trade. Burry didn't but not without taking a huge mental and physical toll on himself. Put yourself in Burry's shoes. What must it have felt like to tell your maker to take a hike? There are several lessons in The Greatest Trade Ever for investors: believe in yourself (assuming you've done your homework), be skeptical of others' free opinions and assumptions, persist, and take the long view and don't take profits too early. Every investor involved in this bearish housing trade early on referred to it as their potential "Soros trade" - referring to the famous 1992 bet against the British pound which netted Soros' fund $1 billion. Paulson used this line himself, but he also remembered another Soros comment that stuck in his mind as he executed his trade. When you see the perfect trade set-up in front of you, Soros advised to "go for the jugular." Paulson did and it paid off big-time. Some of us will never see a trade like that for the rest of our lives. When opportunity knocks, you have to answer. At the time of publication, Jackson's Fund had no holdings in any of the equities mentioned. We read a lot about corporate governance and executive compensation these days, in the wake of last year's economic collapse. Many politicians are now jumping into the fray, saying we need to legislate certain governance requirements, such as splitting the roles of CEO and chairman or lowering CEO pay. Although philosophically I support many of these arguments, it turns out that many of these prescriptions have no long-term relationship with an increase in a company's stock price. Which of these governance and executive pay factors should you pay attention to as an investor? As any good investor knows, there's no silver-bullet metric (such as P/E ratio or price-to-book or leverage ratio) that, on its own, predicts a stock future increase or decrease. Even if you take a number of internal factors into account, your perfect analysis can be thrown out the window by an industry downturn or some random comment by Tim Geithner on his trip to Asia. With this in mind, I believe you can improve your investment batting average by paying attention to two factors relating to corporate governance and executive compensation that most people overlook. First, how much stock do the company's directors own? In a big long study I took part in several years ago, we scoured company's proxy statements and examined how a bunch of so-called "good" corporate governance factors were actually linked to longer-term stock returns. Almost all of them (such as whether there was a split CEO and chairman, or if the board had a number of "independent" directors or not) had no correlation with stock price increases. However, we found one variable that had a whopping link: whether a company had a lot of directors who had dug into their own pockets and actually bought stock in the company. This is different from a case in which stock ownership in the company was only due to stock grants or stock options. When we talked to directors about this finding, they said it didn't surprise them. It's the difference between having "found money" on the line (i.e., their stock was paid for from other people's money, not theirs) instead of their own. One director said, "I sit on a lot of boards right now, but there's one where I've got about $250,000 of my own money on the line. It sounds bad to admit it, but I care a heck of a lot more about how that company does. I lose sleep over it." If you were a shareholder in that company, his sleepless nights are probably comfort to you. I bet there are many Bank of America (BAC - commentary - Trade Now) and Citigroup (C - commentary - Trade Now) shareholders wish they'd had more directors losing sleep (and their own money) a couple of years ago. The second characteristic I like to look at is the total compensation the CEO and his/her management team take home. Is it significantly above other companies in that industry, even though the stock returns between the companies over time is not different? If so, that's a big red flag. Why does this management team (and the board members who approve their pay packages) think they're worth so much more than their peers, with no commensurate better historical track record? As part of total comp, you should also look out for extreme executive perks that have been thrown in to supplement an executive's already high salary. I mentioned recently a Las Vegas Sands (LVS - commentary - Trade Now) senior vice president, Rob Goldstein, who got the company to pay $364,000 to remodel his home and never had to pay it back. Mark Hurd and his senior management team at Hewlett-Packard (HPQ - commentary - Trade Now) saw their total compensation double last year, after they imposed 10% to 15% pay cuts across the organization. The H-P execs also get to spend hundreds of thousands of shareholders' dollars jaunting around the country on the H-P corporate jets for personal use, with hotels and meals also covered for personal use. So how do you find this information? It's easy: go to the SEC's Web site. Search "company filings" and look for the company's most recent proxy statement. Its technical filing name is "DEF-14A," which stands for the company's definitive proxy statement. In there, you will find info on who is on the board of directors, how much they're paid, their bios, and how much stock they own in the company. It's not always immediately obvious how much of their current stock ownership is from past stock grants and stock options given to them (for free) vs. how much they've bought themselves, but it can be figured out if you look over a number of these past filings. In the same filing, you'll find everything you've ever wanted to know about how much in total comp the management team is making (and more), down to the often most illuminating footnotes. The SEC is often tinkering with its requirements on companies in how they present this data. However, the current version makes it clear what each exec's total comp is. These two characteristics of outside directors' stock ownership in their companies and the size of CEO total comp and executive perks aren't silver bullets. They should supplement all the normal financial analysis you do. However, they can often be very helpful in deciding whether to proceed with an investment or not. At the time of publication, Jackson's fund held a net short position in LVS and a short position in HPQ. Eric Jackson is founder and president of Ironfire Capital and the general partner and investment manager of Ironfire Capital US Fund LP and Ironfire Capital International Fund, Ltd.
Free Market Capitalism Needs Clear and Enforced "Rules of the Game"
Appreciate all the Seeking Alpha comments I've received on my article on "It's time to champion real free market capitalism." Several have said that "real" free market capitalism should have no government involvement. First, I don't believe that either Friedman or Rand would agree with that statement. See this clip of Ayn Rand and Mike Wallace from 1959 (watch all 3 clips but the business/free market aspects are in the 2nd clip of the interview). Wallace specifically asks her if all she cares about is protecting the "robber baron" (i.e., monopolist or oligopolist) capitalists. She clearly says she doesn't want to see monopolies and is favor of breaking them up. She also, of course, played an influential role in the 1st term of the Reagan administration when they (among other things) broke up Ma Bell. I am not sure she wouldn't have supported keeping Glass-Steagall or breaking up Too Big To Fail Banks. Friedman and Rand clearly saw a role for government for police, defense, and our legal system. Clearly, an extension of those agencies would touch business. After all, why else would she support the break-up of AT&T? But let's all -- as proponents of free markets -- think for ourselves instead of only speculating about what Rand would have thought. After the last 2 years, to me, it's clear that government's primary role in relation to a healthy free market system is to set and enforce the "rules of the game" such that the entire game isn't at risk of stopping... as it almost did last year. Rules of the game means preventing monopolies that inhibit choice. It means -- to me, and I don't care what Friedman or Greenspan used to think on this -- you prosecute no-talent fund managers who cheat their investors by illegally trading on insider information. It means giving shareholders -- the true owners of the corporation -- the right and freedom to toss out under-performance directors. On the other hand, I don't think the government should be setting pay, deciding that Bear should get bought and Lehman should go under. They also shouldn't be saying that more sub-prime borrowers have the right to own a home as part of "the American Dream." Strong "rules of the game" set and enforced by the government allows 'real' free market capitalism -- and they would have the secondary benefit of also removing crony capitalists who have stopped competing on ability and instead compete on lobbyist dollars spent. With its stock price is up over 800% since its March lows, Las Vegas Sands (LVS - commentary - Trade Now) plans to raise up to $3.3 billion in a Hong Kong IPO listing of its Asian assets later this month. While it has great potential upside from its properties in gambling territory Macau, there are still a number of risk factors facing the casino that could cause it to trip its debt covenants on its massive $12 billion in liabilities over the next 18 months. Because of those risks and lax corporate governance oversight, I've initiated a short position on the stock. Here's why. Risk 1: Losses will persist without a meaningful upturn in operating performance. Despite a surge in Macau-based profits and management claims of cutting $500 million in operating costs from the business, Sands still is losing money, and at an increased rate year-on-year. It had over $1 billion in operating expenses in the recent quarter alone. The bet that bulls on the stock are making is that we've hit bottom and that rooms, banqueting and convention revenue will all come back from current levels. On the recent earnings call, management noted that Macau had done particularly well recently, partially because of increased traffic over the October Golden Week holiday. The company pointed out that Las Vegas room bookings were up for January and February. However, the likelihood of a continued soft market in Vegas (especially with MGM's new CityCenter dumping 5,000 new rooms on the strip next month) seems high, even with Macau. It appears reasonable to assume that losses will persist over the next two years, at a time when it's vital for LVS to navigate its way through its debt obligations. Risk 2: Debt requirements will only get tighter over the next year. Like its losses, Las Vegas Sands' debt and liabilities have increased over the last year. It had $12 billion in debt as of the end of September -- up 13% from a year ago. LVS's biggest risk in holding such a high amount of debt while losing money is meeting its debt covenants, which include tightening the allowed ratio between debt and EBITDA, currently at a ceiling of 6.5:1 for US-related debt. Management says it is now running a ratio of 5.78:1. Starting July 1 2010, the allowed ratio will drop to 6:1. Then, on January 1, 2011, it will drop again to 5.5:1 and stay there. Sands has been able to sell stock and debt in order to supplement its EBITDA and stay within its debt covenants. Recently, it pre-sold $600 million in projected proceeds from the planned Hong Kong IPO of its Asian assets later this month, presumably because it needed the extra cash early. Once it completes its public offering, it should receive another $1.7-2.5 billion (net of the already-sold $600 million and the bankers' underwriting fees). The company has three types of debt related to its US, Macau and Singapore (Marina Bay) developments and operations. All senior debt is held by Lehman Brothers Commercial Paper (or affiliated entities). It appears that Alvarez & Marsal (overseeing the wind-down of Lehman) is now in charge of Sands' debt obligations and they have more incentive to play hardball on enforcing terms compared to a troubled Citibank, Bank of America, or Wells Fargo. In an interview with CNBC in July, Bryan Marsal talked -- in general terms, not specifically about Las Vegas Sands -- about how many companies were in phase one of a three-phase discussion with their creditors: (1) extend and pretend (that they will somehow be able to bounce back in order to re-pay their debts), (2) amend (the terms of their covenants -- or at least try), and (3) send (as in, send in the keys for the properties to the creditors). If Sands defaults on one debt obligation, it triggers a cross-default across all its debts. Assuming the losses continue, its new IPO proceeds will help, but the company will still face potential problems later next year, as its debt-to-EBITDA ratio ratchets down. Risk 3: Continued development in Macau. According to its most recent 10-Q, Sands estimates it will need approximately $2.6 billion to complete development at Macau. It currently has about $3 billion in cash (about the same level as a year ago), plus the new funds coming in from the Hong Kong IPO. It's likely that Sands will need to keep a certain amount of cash on its balance sheet to satisfy its lenders. This means that, even using all the IPO proceeds, Sands will not necessarily have sufficient cash to finish off Macau -- if losses persist. Las Vegas Sands is required to finish completion of Parcel 3 of the Cotai strip by mid-2011, or risk passing over the keys to all of its Macau assets to the Chinese government. It also needs to build out parcels 4 to 8 (and receive permission from the government), but not as quickly. It is obviously trying to do everything it can to minimize its development costs (right out of the "extend-and-pretend" playbook). Sheldon Adelson is known for slipping delivery deadlines. However, there are a number of Macau risks (let alone Singapore) that remain, including the potential for less strong traffic in current and future quarters compared with the recent Golden Week-aided quarter, restrictions on travel to Macau by the Chinese government for fear of over-gambling, Sands's need to spend more on ferry access or face reduced traffic, potential cost overruns on existing development and any potential health scare (like heightened concern about the H1N1 virus) that could reduce traffic. Taken together, it seems likely that one or two of these risks might occur in the next year, with a sharp impact on the stock. Risk 4: Poor corporate governance oversight. You would think that Sands would be holding on to every dollar of cash possible, seeing as how the stock dropped from $140 to $1 and was being questioned as a going concern less than a year ago. But, you'd be wrong. Corporate governance has and likely always will be very poor at this company. On October 29, Sands declared a quarterly dividend of $2.50 per share to the holders of 10% Series A Cumulative Perpetual Preferred Stock. It's not clear how much of this stock Chairman and Chief Executive Sheldon Adelson himself owns, but we know (from the Sands 2009 proxy statement) that his wife, Dr. Miriam Adelson, bought 5.25 million of these shares from the company on November 14, 2008. That means Adelson's wife will collect $13 million on just this one quarterly dividend payment, or $50 million annually -- roughly 10% of their recent $500 million in total cost savings Sands management boasted about. My personal favorite egregious expense at Las Vegas Sands involves SVP Rob Goldstein. Goldstein is in charge of Sands' Vegas properties and was front and center on the recent earnings calls. He was paid $3.8 million in total compensation in 2006, $3.2 million in 2007 and $2.6 million in 2008. In the spring of this year, in its proxy statement, Sands disclosed that: "During 2008, a subsidiary of the Company performed work at a home owned by Mr. Goldstein, the Company's Senior Vice President. The Company's cost and overhead for the job was $364,000. Mr. Goldstein believes and the Company agrees that some of the work was not performed in an appropriate manner. The Company and Mr. Goldstein are working together to determine the amount that may be due." Later, in its second-quarter10-Q release in August, Sands buried in the back under "Other Matters" the following: "As previously disclosed, during 2008, a subsidiary of the Company performed work at a home owned by Robert G. Goldstein, the Company's Executive Vice President. Mr. Goldstein believed, and the Company acknowledged, that some of the work was not performed in an appropriate manner. The matter was referred to an independent expert, who concurred about the quality of the work and concluded that Mr. Goldstein should not be obligated to pay the $0.4 million incurred by the Company for costs and overhead on the job. These findings have been accepted by the Company and Mr. Goldstein." So, to review, a Sands subsidiary got to do $360,000 worth of remodeling construction work on Goldstein's house - paid for out of the Sands' shareholders' coffers and Goldstein gets to enjoy the benefits of the work for free. Who is this "independent expert" and how can I arrange for him to come and adjudicate some faulty remodeling work paid for by Sands at my house? Clearly, it's "buyer beware" for shareholders at Las Vegas Sands, and Sands makes no bones about it. One of its "risk factors" listed in their 10-K is that "[t] he interests of Mr. Adelson may conflict with your interests." The bottom line is that Las Vegas Sands' management is betting that the Macau market will stay hot and that Vegas will come back from historic lows this year. My belief is that one or more of the risks cited above will surprise to the downside within the next year - and that's why I think it's more likely the stock will go lower than this, rather than higher, over the next 12 months. At the time of publication, Jackson's fund held a net short position in LVS and a long position in WYNN. Market commentators and the White House have been quick to blame last year’s economic meltdown on a free market run amok. And they’ve used that false assumption to justify their unprecedented response of government intervention and increased regulation. But we’ve never really had free market capitalism in this country. The last 30 years of America’s market system is better described as “mixed crony capitalism” – one part capitalism, one part government intervention through various programs, and one part corporate cronyism where officers and directors of big businesses pay themselves more, lobby politicians on both sides of the aisle and gain more power through favorable governmental regulations including mergers. In such a three-way shared system, it shouldn’t surprise anyone that true free market capitalism always appears to be outnumbered by the interests of the government and corporate cronies. For example, despite the billions in taxpayer dollars that have helped prop up a slew of “too big to fail” banks, and unprecedented government ownership of them, the powerful bank lobby has somehow convinced the current administration that little needs to be changed about how those banks operate. It’s as if the bankers and politicians are saying “let’s just call last year a mulligan and move on.” Not surprisingly, most of the CEOs and directors the banks that drove their institutions over a cliff are still in place. If Standard Oil or Ma Bell existed today, it’s hard to imagine there would be the political will to break them up. Instead, politicians and their corporate donors would argue that what’s good for Ma Bell, GM, Bank of America, Citibank, or any other company is good for America. Politicians would never support programs that curtail spending, because it would give them nothing to go back home and talk about to get them re-elected. There are many critical thinkers arguing why even more government intervention is needed today than ever before. Unfortunately, there are no critical thinkers arguing why our system needs more emphasis on free markets with clear “rules of the game” and less state involvement in our economy and less protections for corporate cronies. This paucity of ideas is something that greatly troubles me and other investors I know. Milton Friedman and Ayn Rand are no longer around to argue for their vision of free market capitalism. Instead, we only hear alarmist libertarian rantings of Ron Paul or populist sloganeering to “keep the government out of our business” providing no clear direction for what changes should take place. We need a renewed focus on the ideas of individual choice championed by Friedman and Rand. Both argued for a free market system built by entrepreneurship and small business and against abuse of power by “robber baron” CEOs. Government’s role in their eyes should be limited to police, defense, and the legal system. The importance of a market system following enforced rules is critical. The ideal market system the US should be striving to attain here is not Russia but Hong Kong. · eliminate special tax breaks for homeowners and cars which only prolong the pain of an inevitable correction until later. The heroes of free market capitalism are the entrepreneurs who create real value and real businesses. Those people are the antithesis of “fat cat” capitalists who ensconce themselves in money, power, with government protection. We need more people championing well articulated pro-market, pro-entrepreneurship policies in Washington. Eric Jackson is Founder and Managing Member of Ironfire Capital and the General Partner and Investment Manager of Ironfire Capital US Fund LP and Ironfire Capital International Fund, Ltd. The government's case against Raj Rajaratnam, founder of hedge fund Galleon Group, on the charge of insider trading alleges that the hedge fund manager's primary competitive advantage for investors was a web of connections close to or inside technology companies feeding him illegal tips on future directions of the companies' stock prices. What's shocking is how Rajaratnam is accused of having, over at least 10 years, cultivated a network of insiders feeding him nonpublic information about future earnings announcements from public companies like AMD(AMD Quote) (including its former CEO), IBM (IBM Quote) Intel(INTC Quote) and some of their most prestigious advisers like McKinsey & Co.
Why would so many bright, high-ranking people at such successful companies get caught up in such activities? Perhaps they craved access to a man whom Forbes recently ranked as the 262nd richest American, worth $1.8 billion and in the top 40 of hedge fund managers. In a recent PBS "Frontline" episode on Alan Greenspan, the program made the allegation that the former Federal Reserve chief and acolyte of free marketer Ayn Rand had once joked with former head of the CFTC, Brooksley Born, that the two of them would never get along because she believed in prosecuting capital markets crimes and he didn't. He supposedly went on to explain that his strong faith in free markets made him believe that it was unnecessary to go after white-collar criminals through any kind of enforcement program. Instead, Greenspan believed that market participants would ferret out ill-gotten gains and punish those people for their crimes by starving them of future capital. Such efficiencies would likely occur before the governmental regulatory body even knew something nefarious was going on. Although I'm a proponent of unencumbered free markets, this point of view, whether Greenspan held it or not, is laughable. Bernie Madoff has blown this argument out of the water. And now we have the case of Rajaratnam, his decade old hedge fund, and his alleged 10 years of generating alpha through profiting on illegal insider information. As a hedge fund manager, I look positively on this development. If illegal activity is going on by fund managers, it deserves to be highlighted and prosecuted. Investors will learn to ask tougher questions as part of their due diligence, and capital will ultimately flow away from managers posting false performance numbers to those who are truly generating alpha. The hedge fund industry has to be one of the most Darwinian industries of any in the world. You don't get to keep your job by being the boss' son or being friendly with the right managers above you. You get to keep your job (and paid well if you do it consistently) by beating the market. You lose your job otherwise. Perhaps because of the big potential rewards for success, it shouldn't be surprising that some aspiring and existing managers would try to bend the rules to get or stay on top. What this case shows is that ethical managers and investors are better off with a strong enforcement office at the SEC. The industry itself is not going to highlight the next cheater and investors -- even very sophisticated ones -- cannot do this themselves. I know many hedge fund managers who've expressed mixed feelings about the Galleon case. They're happy that illegal activities by their competitors are being halted, but they worry the case will inspire more unnecessary red tape and heavy-handed oversight. The SEC is faced with a challenge in keeping ahead of the latest and greatest tricks employed by some managers to gain a performance edge. However, the agency appears to have been pretty creative in coming up with some ways of identifying and tracking alleged illegal behavior in the Galleon case. Hopefully, it will begin to hire more people in the enforcement division with real-world Wall Street experience and not just more bureaucratic lawyers, as was criticized by Harry Markopolos in the Madoff case. There's been a lot of discussion of getting hedge funds to register with the SEC as an important way for the agency to keep tabs on the potential risk these funds pose to the financial system. It's important, therefore, to realize that Galleon was registered -- its assets under management at one point last year topped $3 billion. More budget resources targeted towards enforcement would be taxpayer money better spent than registration for registration's sake. Finally, a word of caution on the Galleon case. Although criminality ought to always be prosecuted to the fullest extent, Galleon and Rajaratnam deserve the right to defend themselves in court. What if they are innocent, after having announced they would be winding down the firm two business days after news of the arrests first broke? Could they ever truly be made whole by the SEC if that happened? That Orwellian possibility should send shivers down the spines of hedge fund managers everywhere. Mark Cuban has never run a hedge fund, but what if he had when the SEC came after him last year for purportedly trading on insider information in the small-cap stock Mamma.com? If he'd had a hedge fund at the time, it likely would have also had to be wound down when details of his arrest first emerged. The SEC later dropped the charges, although it recently made some noise about bringing them back. Wrong-doing deserves to be regulated and prosecuted by the SEC. The government should devote more resources to enforcement with the best qualified people involved. A few correct convictions will have a ripple effect throughout the hedge fund industry and discourage illicit behavior. However, the SEC needs to realize it is playing with people's lives and livelihoods here. Investors will -- understandably -- redeem first and ask questions later when the agency launches actions against a fund or fund manager. They have a responsibility to do their jobs to the best of their abilities, as do hedge fund managers and senior executives within public companies. Jackson's fund holds no positions in the stocks mentioned.